Filmmaker Karan Johar is known for bringing together some of the most interesting pairs on his popular chat show ‘Koffee With Karan’. 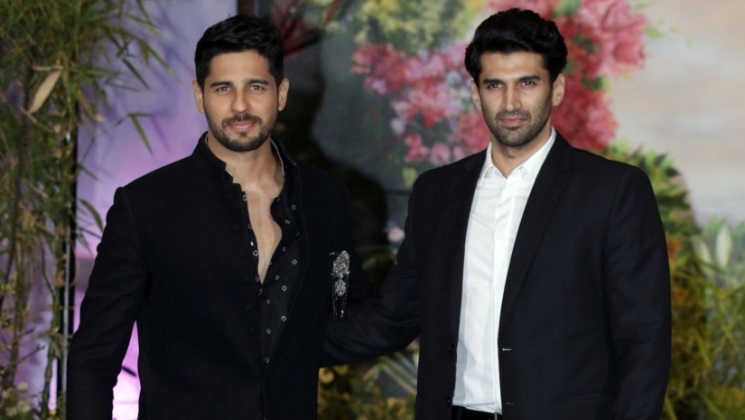 The latest season will see some unique pairs gracing the show with their presence and one of such pair will be that of the two most handsome actors of Bollywood- Aditya Roy Kapur and Sidharth Malhotra. Yes, two hotties on one couch… and we are already daydreaming about this steaming episode. We can bet that this episode of the chat show is going to be steaming hot, as having two hunks on the same couch would be like icing on the cake for all their female fans out there. Sidharth made his Bollywood debut with Karan Johar’s ‘Student of The Year’, and Aditya will be seen in KJo’s upcoming home production ‘Kalank’. So bring them together for his show wouldn’t have been difficult for Karan. Now waiting patiently for this episode to air is becoming difficult for us. What about you guys? In the recent episode of the show, we saw Aamir Khan making a solo appearance, while the upcoming episode will see Katrina Kaif and Varun Dhawan making a joint appearance.